The health-centric concept will open in The Bryon. 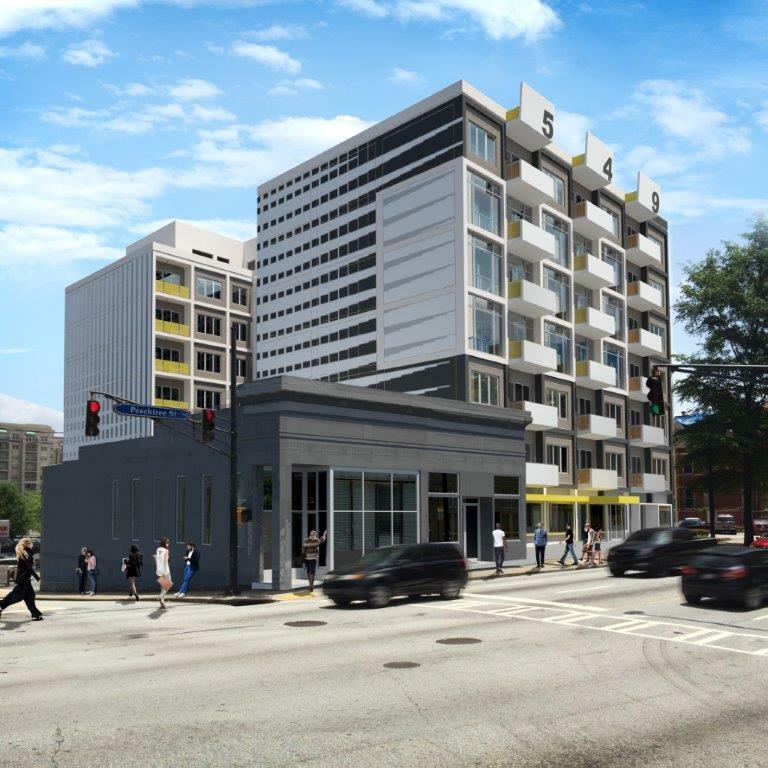 The shop will be in the forthcoming The Byron on Peachtree apartments, at 549 Peachtree Street NE. A permit application Friday was filed with City of Atlanta to buildout the 2,321-square-foot space. The Downtown shop is expected to open in November. "It's an upscale juice bar," Sherell Moore, Atlanta City Juice Bar's owner, this week told What Now Atlanta (WNA) in a telephone interview. "Think Starbucks but with juice instead of coffee. You can come in, socialize, and use your computer." Moore will retail fresh-pressed juices, loose-leaf teas, and "tonics" like "tiger bone." Organic baby food, made fresh daily, will also be on the menu along salads, sandwiches, and steel-cut oats. "We specialize in all things healthy for life." That includes cryotherapy, according to Moore. Each location will include a cryotherapy chamber. A second Atlanta City Juice Bar could open in Buckhead. Moore said an outpost in the Modera Buckhead apartments, at 3005A Peachtree Road NW, would open early 2018. A leasing representative for Modera told WNA that Moore has expressed interest in the space but that a lease has not been secured. Atlanta City Juice Bar will open its first location in The Byron on Peachtree. string(22) "Atlanta City Juice Bar"
string(42) "549 Peachtree Street NE, Atlanta, GA 30308"